Pakistan, a nation of 200 million, is witnessing a plethora of oppression, injustice, tyranny, religious exploitation and blatant lying. A majority of the population live in either various forms of poverty as victims or in fear of targeted killings and kidnappings for ransom by workers of the major political parties and religious terrorists. The perpetrators – politicians and judiciary (the legal system including the upholders of law) as well as the clergy (known as ulema or mullah) are corrupt to the very hilt and this has filtered deep into the fabric of the nation’s national character. The brunt of this is being felt among the people living in villages and ghettos who’re being exploited mainly by the clergy while 6-10% of the rich and upper middle class who live in large cities continue to eat the fruits sowed with the seeds of corruption in every government heirarchy. 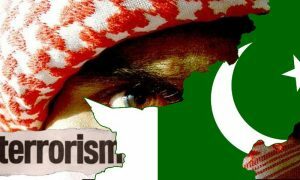 Pakistan is a nation in chaos as are many other Muslim countries whose citizens are victims of terrorism, tyranny, corruption, oppression and injustice. These will be illustrated as several epitomes in the following paragraphs. I was going to omit reference to the corruption in the military but after receiving a rather interesting email, I decided to include the contents after investigating the authenticity of the email. In brief, during his regime, General Zia-ul-Haq of Pakistan was en route to USA on an official visit with his wife. Several gifts were loaded on the plane for distribution and among them were some marble lamps. Due to last minute plan changes, the marble lamps were not loaded in the cargo section. The Federal Investigation Agency (FIA) found the lamps left behind and after failing to trace the owner(s), broke the lamps and found them stuffed with heroin. After several arrests, the track led to Zia’s ADC Captain Qamar Zaman, the “adopted son” of the general. I traced an article in Pakistan Tribune newspaper of 11 October, 2011 as well as the book “Profiles of Intelligence” by Brigadier A.I. Tirmizi. Fascinatingly, Qamar Zaman was appointed Chairman of Pakistan’s National Accountability Board (NAB) the very authority charged to investigate corruption. Details of Qamar Zaman’s corruption are noted on the referenced article. On 9 July 2016 a noble and humble Pakistani philanthropist, Abdul Suttar Edhi, died at the age of 88 in Karachi serving humanity, the very essence of Islam. In a blog EDHI: A LIFE LESS ORDINARY in the newspaper The Dawn , filmmaker and journalist Hassan Zaidi wrote In fact, if anything made him (Edhi) bitter it was how some mullahs (clergy) had perverted the spirit of religion with literal interpretations. He would rail many times about how the clergy only created problems for other people, never helped those in need. In another anonymous blog, Edhi’s wife Bilquis stated that “What we are doing (charity) should be done by the government and should be appreciated, but instead we are blamed.” I remember an Italian saying ‘the fish smells from the head’ – true enough. The corruption, tyranny, oppression, religious intolerance, terrorism and injustice in Pakistan are representative across the entire Muslim world. Muslims are fleeing from their own countries and seeking sanctuary anywhere where they can escape the horrific crimes being perpetrated against innocent men, women and children by their leaders and extremist groups like Al-Qaeda, Islamic State and Taliban. Ask Muslims about the roots of terrorism and they’re quick to point the fingers at the USA or Israel. They’re not thinking. They’re not thinking inwardly. The plague of terrorism is homemade, not foreign. The western countries however prop up the Muslim perpetrators with bribes and political protection so that they can extract economic benefits from the mayhem. Why not exploit the homegrown situation? Terrorism was born predominantly in Saudi Arabia and Pakistan as a tool to expel Soviets from Afghanistan in 1980s. The other day I was asked about these three countries. The official descriptions of Pakistan and Afghanistan are THE ISLAMIC REPUBLIC OF PAKISTAN and ISLAMIC REPUBLIC OF AFGHANISTAN. I posed a question to several Muslims: are these two countries Islamic or republics or democracies as their leaders and politicians claim? The answers were unanimously ‘no’ in each case. They are hypocrisies and mirror reflections of Saudi Arabian monarchy in every respect. These countries are namesake Islamic only, not in principle or in spirit. The blame also lies with the clergy who mislead Muslims and appease the political leaders for personal gains and power sharing. The current Prime Minister Nawaz Sharif owes much to the Saudi monarchy as it had granted him sanctuary during his 9 year exile from Pakistan in 1999 following a military coup. Saudi Arabia has granted sanctuary to other heads of Muslim countries known for their extremities of corruption, oppression, tyranny, murder, mayhem and injustice against their peoples. A case is that of Idi Amin President of Uganda from 1971-1979, an incredibly disturbed psychotic who is on record to have killed half million citizens. Another corrupt tyrant-dictator who was granted sanctuary in Saudi Arabia was the former President of Tunisia Zain El-Abedin bin Ali (1987-2011). He fled with his notorious wife Leila bin Ali and nearly 1.5 tons of gold valued at $75 million. Why has the Saudi monarchy granted sanctuary to such tyrants? One can only surmise that “birds of a feather flock together”. The plague of terrorism was born and nurtured in Afghanistan and Pakistan in prayer houses (mosques) of God under control of fundamentalist clergies trained and funded by the same country that has supported and granted sanctuary to tyrants, dictators, political criminals, unjust rulers, oppressors and murderers. One of them was President Zia-ul-Haq of Pakistan, a religious zealot, who together with Saudi Arabia aspired to promote Wahhabism- an extremist belief far removed from mainstream Islam which preaches humanity and tolerance – across the Muslim world. Fortunately his aspirations died with him in a military airplane crash in 1988 but the monarchy and Wahhabism continues to survive and grow like a cancerous plague of radicalism, terrorism and terrorists. The plague spans not only the Muslim countries but even the USA and European nations. The only Muslim country which has successfully prevented terrorism within its borders is Iran. Whether they belong to Al-Qaeda, Taliban or the Islamic State (IS), these bearded terrorists are products of extremism and religious fundamentalism, brainwashed in mosques by the Saudi trained clergy to indiscriminately kill men, women and children. Then they vanish in the crowds and find sanctuary in the mosques. They call themselves Muslims who believe that God has chosen them to do His bidding and that they’ll be rewarded in Paradise. Let us now consider in a couple of paragraphs how to eliminate the global plague. The US and European NATO partners have a grand plan for Saudi Arabia, a nation that cannot defend itself but would willingly pay other Muslim countries to do its dirty job. It has hopes that Pakistan, Afghanistan, other Arab monarchies would send regular army troops to defend the country and the two holy sites in Mecca and Medina. It has thus formed a coalition of Sunni Muslims including Al-Qaeda, IS and Taliban to counter the growing influence of Shia axis (Iran, Iraq, Syria and Hezbollah) in the Middle East. The grand plan is to start a civil war between Shias and Sunnis (both Muslims) and thus contain the plague in US and EU while Muslims will be engaged in throat cutting. As to the timing of the civil war, it might just well be in less than two years following the US elections. Donald Trump, the Republican Party presidential nominee, is the circus clown who has been thrown into the ring to gauge the sentiments of the Americans towards Muslims while the “terrorists” unleash chaos in the US. Behind the scenes is the juggler, Hillary Clinton (endorsed as the Democratic Party presidential nominee), as she spins a web that will lead to the Shia-Sunni civil war in the Middle East. Iran’s Supreme leader Khamenei warned his nuclear negotiators that under the N-deal is a “half nuclear bowl” suggesting caution that the US-EU has an ulterior motive. Now that the sanctions are gradually being lifted, Iran is economically and militarily preparing towards the eventuality of the civil war that it has foreseen in the “half nuclear bowl”. I perceive that the civil war will be a major regional conflict that will prolong many years till terrorism and fundamentalism will be defeated and peace will prevail but the human toll among Muslims will be massive. It seems, Gulam ASGAR MITHA is an ‘armchair’ historian. 1. Pakistan’s population is less than 160 million – not 200 million. 2. Name one country other than Iran, whose leaders are not corrupt? Look at Barack Obama, Francois Hollande, Benjamin Netanyahu, David Cameron, Tony Blair, Angela Markel, Vladimir Putin, Stephen Harper, etc. 3. Pakistan’s all four military dictators were involved in financial corruption or being womanizer – which are considered “Western values”. Pakistan with all its faults – is far better than many western countries when it comes to its minorities. Mr. Mitha’s analysis is cursory and superficial at best. Writing for Oriental Review and be able to get published while enjoying his living in North America may well be the main cause for such a west-centric piece which intentionally turn a blind eye on the deep and sinister connections being unearthed by even the western scholars among the groups working behind the scenes. All such research is open source and available for anyone who truly and independently wants to learn about the problems plaguing the muslim world. This article is nothing but another attempt by academics who propagandise from the clash of civilizations to denominational rifts in the final Abrahamic faith. whereas Pakistan and the other Islamic nations, who are disadvantaged because the Qura’n is not in their mother language and the birth of Islam was not around them, do not have the same discipline of Islam and, therefore corruption can be, ( with emphasis on the word can), much more widespread from the top to the bottom of any government and by default any Islamic nation, other than the Arab nations. And Pakistan in particular is a special scenario because while all Islamic nations were colonized by the former colonial powers, yet colonialism had a much deeper effect into the very fabric of the Indian subcontinent than the Arab states because Islam as a creed was more strongly embedded in the Arab societies that in the other Islamic nations. And while the colonial powers tried to eradicate and mutilate the identity of every Muslim individual, they have only partly succeeded in doing so with the non-Arab states, whereas they had a less chance with the Arab states, and as a result such Islamic nations as Pakistan, in particular, are more westernized than anything else when it comes to practicing Islam in daily walks of Life such as commercial and material aspects. Another disagreement with the points raised under your article is people fleeing their home countries which is only true for the deprived and less economically fortunate citizens, as far as the Arab states are concerned. But once they achieve economic contentment they return back to their homelands. By following all the comments made so far on Mr. Mitha’s article it is obvious that it has attracted interest from his own people and others as well. And while discussions are always useful, even with completely opposing points of views, but what is important is that each participant binds himself to accuracy and honesty in expressing any opinion and does so only in the interest of revealing the truth, which we all seek and, which is unfortunately lost in today’s world. And if there is anything that religion , any religion , calls for and serves to achieve, then it’s decency and honesty in anything we say or do and, if we all follow strictly the teachings of religion the truth will come out and all confusion will be eliminated. And Islam, like any religion, imposes an inner code of discipline on all its true believers, which they are bound by in the slightest thing they do or say, and all their thoughts and intentions and emotions are controlled by such inner code of discipline and their fear from falling into the slightest sin or upsetting their creator, ie God. And if we were all adhere to accuracy and honesty even when it is not in our interest to do so and it will not serve any personal gains or motives, then life would have been much simpler and transparency and the truth will prevail.